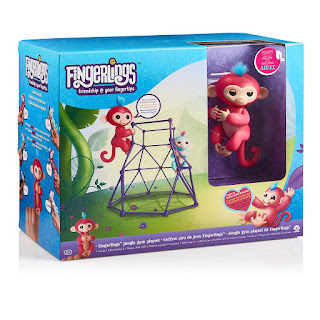 Amazon has the Fingerlings - Jungle Gym Playset + Interactive Baby Monkey on sale for $6.97, down from $19.99. 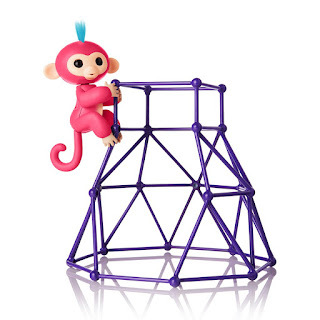 Aimee is a cute, coral pink Fingerlings Baby Monkey with soft blue hair, who loves to grip onto her purple jungle gym. She also loves swinging from it by her tail. Aimee also loves to interact with you - responding to touch, sounds, and movement. 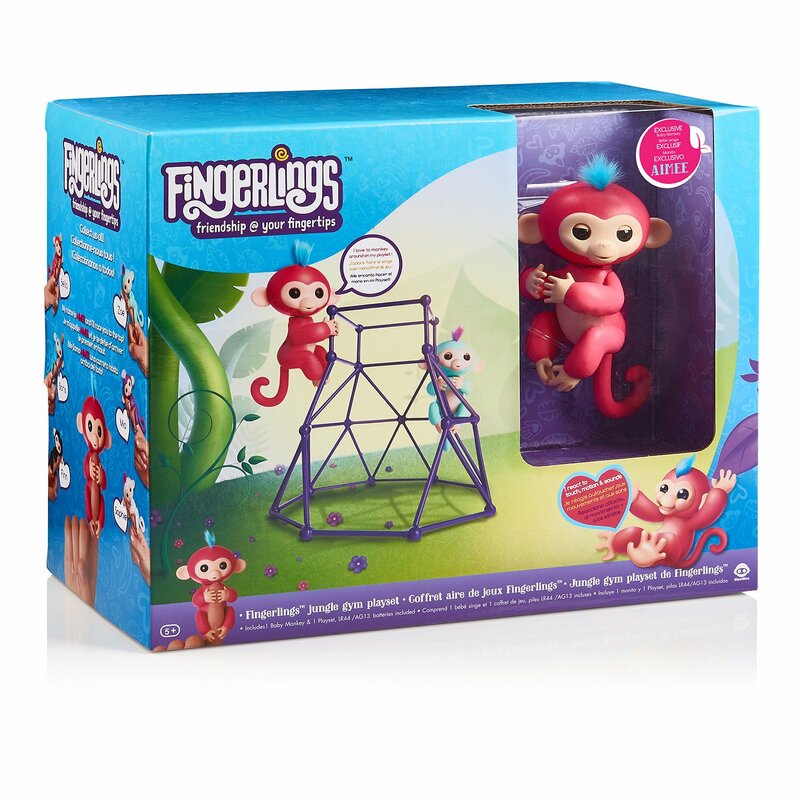 She’s happy to go wherever you go and will make you laugh with her cute monkey babble and giggles, adorable blinking eyes, and head turns. 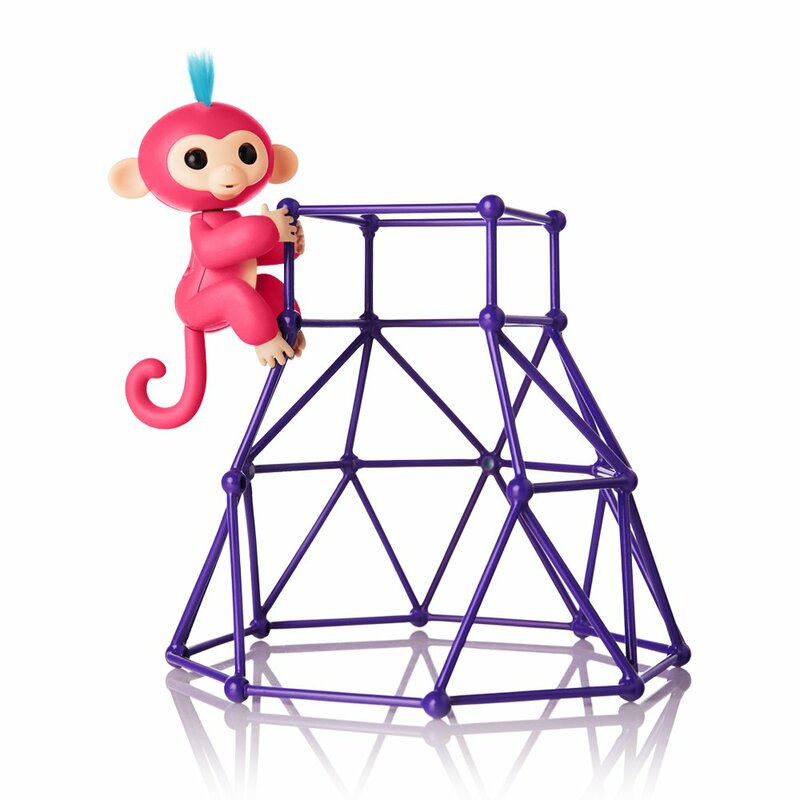 When Aimee is not holding onto your finger, she will love playing in her purple playground.